My introduction to fly fishing came less than a year ago when my fiancée and I had a trip planned to Alaska. Shortly before we were to leave she had a work conflict and couldn’t make it. I called my buddy up in Nome to see if he could help save my summer. He told me to come up so he could show me “his” Alaska. Around the same time I found myself fishing my home state of Arizona for the first time while camping in Arizona’s White Mountains. See, I was never much of a fisherman but, up in the Whites something clicked. I saw a guy sneaking around trees and crouching behind brush to gently present a dry to a rising trout. He was actively hunting trout, stalking wary browns fish by fish. I was sold. My friend sent me a few emails about what our trip would consist of. He relayed an Eskimo folktale to me of a man who once speared a giant bullhead from his kayak on a river near the Kigluaik Mountains. The fish towed his kayak many miles thrashing about, cutting the landscape to form the Imuruk Basin. It swam back and forth carving out the Tuksuk Channel, then opened up Grantlely Harbor and Port Clarence with its mighty tail. Not until far off the coast was the man able to kill the fish, but by this time the fish had turned into King Island. Our trip was to be by kayak and trace the steps of the fisherman from his story. Soon, I was on a plane bound for the Seward Peninsula. After a day of last minute preps and gear checks we caught up on family and I was fed dried and smoked salmon and sampled whale skin, blubber and seal. Then I had a quick lesson in paddling inside the safety of Nome Harbor. I think he wanted to make sure I was up to the task since I had almost no kayaking experience. I must have passed his test because the next day we were on our way past the Kigluaik Mountains to the Pilgrim River. On our journey we saw thousands of running salmon. We ate breakfast while a cow moose and her calf watched from the opposite bank. 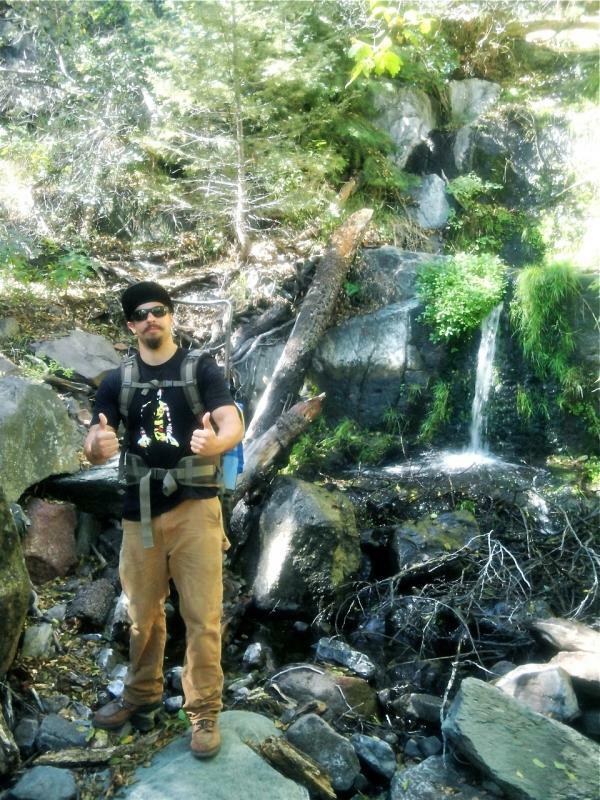 He pointed out countless species of birds and we saw bear tracks at every one of our stops. 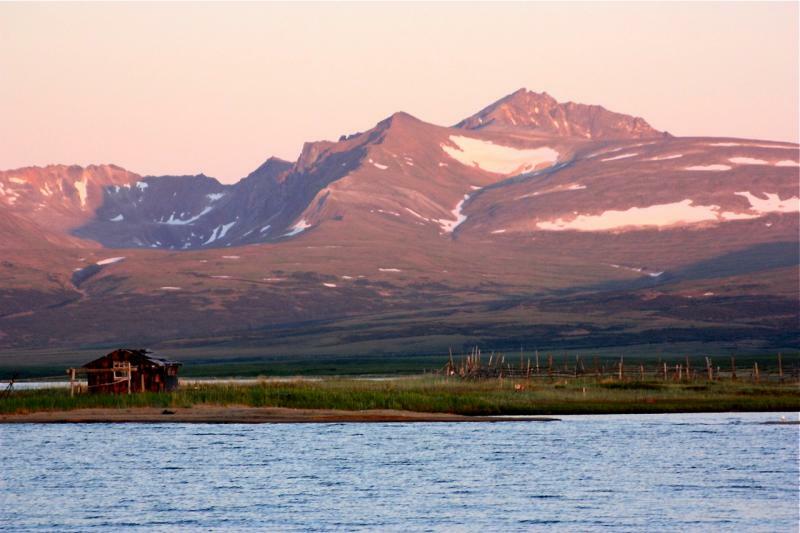 I was taught about the wildlife we were surrounded by and given the history of the Inupiat people who used these rivers as avenues of hunting, fishing and trading. We went days without encountering people. For the first time in my life I was actually in the wild. My perspective for the necessity of preserving untouched places was being intensified by the minute. Meanwhile, all my fishing attempts were failing. Atrocious casting combined with no understanding of what these fish eat resulted in zero fish caught in 80 miles of fruitful water. We even pulled off one night in a spot that he knew held large pike. I saw a few of these monsters under my boat as we paddled in. I couldn’t entice even one. All of these failures only fortified my newfound addiction to fly fishing. 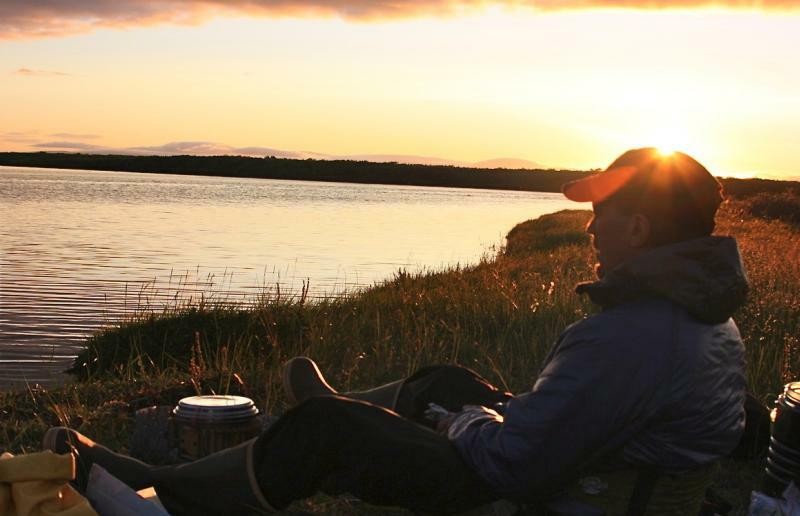 After six days on the water we paddled into Teller where his wife picked us up to take us back to Nome. The next day he took me to Council, an abandoned mining camp that sits on the Niukluk River. After finally finding success on some monster grayling (a few pushing 20”) and some running pinks and chum I was fully hooked! I’m forever grateful to my old friend for sharing this adventure with me. Life hasn’t been the same since. I’ve made some fishing buddies since and they’ve turned me into a nearly competent fisherman. I’ve also gotten the opportunity, through my local chapter of Trout Unlimited, to participate in some conservation efforts, including stocking endangered Gila trout in an isolated creek to help rehabilitate this nearly lost species. Gila trout are in trouble due to the impact of man and one of the ways TU works is through habitat restoration and restocking efforts. TU also works to protect species and habitats preventing them from becoming endangered. Right now the Tongass National Forest in southeast Alaska is one of these habitats. It’s America’s largest National Forest and the world’s largest intact temperate rain forest. 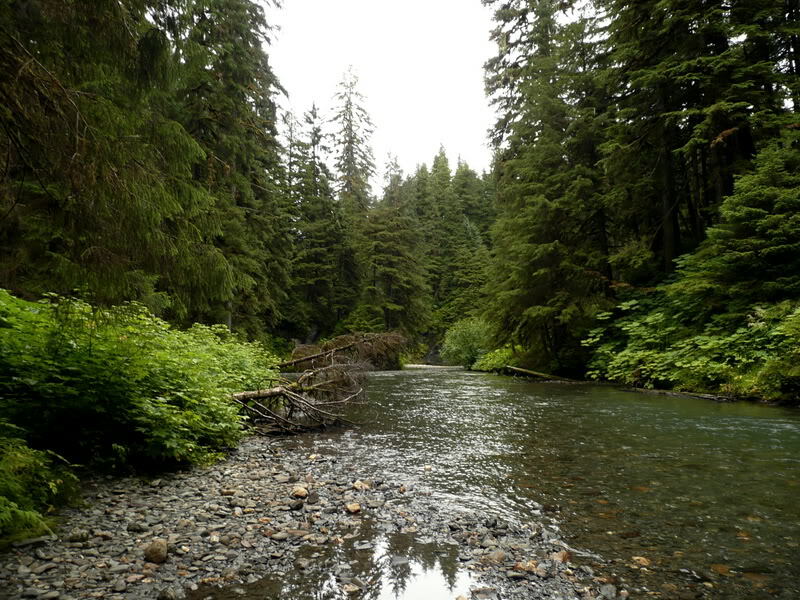 Home to an incredible amount of biodiversity, the forest relies on post spawn salmon to supply nutrients to the otherwise nutrient deficient soil. It’s literally a salmon forest. At 17 million acres it has 17,000 miles of un-dammed waterways that provide spawning grounds to five species of salmon as well as sea run trout. Unfortunately Tongass is currently under threat by legislature that would allow for devastating logging, mining and damming. 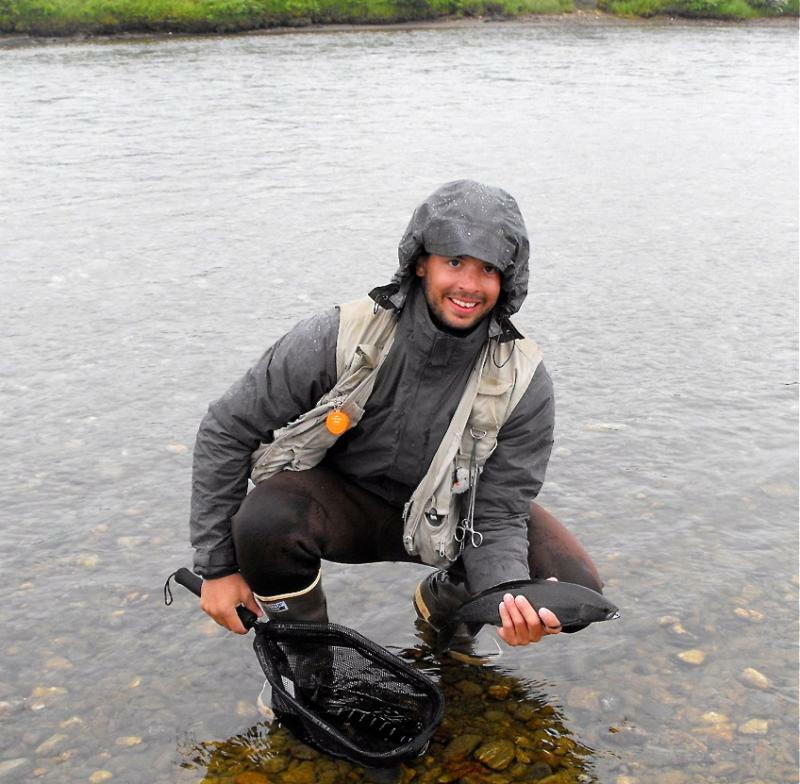 TU is working with the Tongass 77 to protect the resources that provide a sustainable livelihood to southeast Alaska residents and to maintain this wild place so that generations to come can stumble into the wilderness and have a life changing experience like I did on the Seward Peninsula. This entry was posted	on Thursday, May 23rd, 2013 at 4:41 am	and is filed under Backcountry, Fly Fishing, Guest Post, Pacific, RIO Products. You can follow any responses to this entry through the RSS 2.0 feed. You can leave a response, or trackback from your own site.